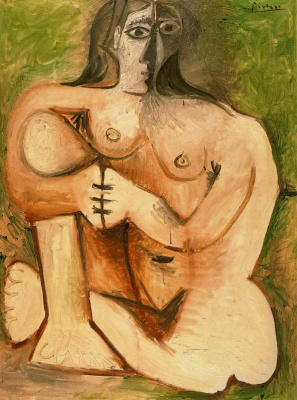 After the First World war, Picasso changed again. 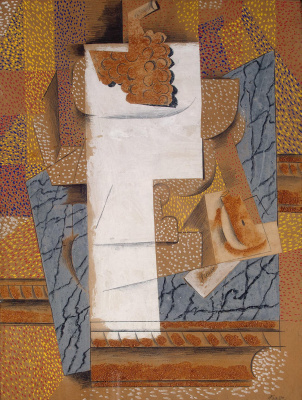 The impression that plenty of "playing" with cubism, examining its length and breadth, the artist returned to figurative painting and refers to neo-classical techniques and subjects. 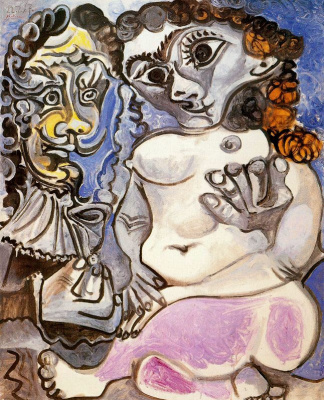 In the early 20-ies in his paintings begin to appear monumental figures that Gertrude Stein jokingly dubbed "big women" (1, 2, 3, 4). Picture "Two women running on the beach" can be called, perhaps, the most famous work of this series. 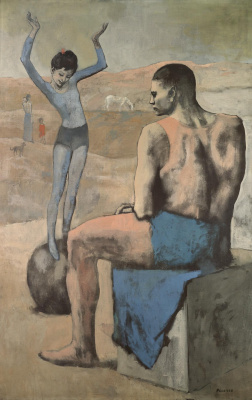 Picasso refuses favorite technique - the distortion of the proportions of the human body, but now this technique takes other forms. 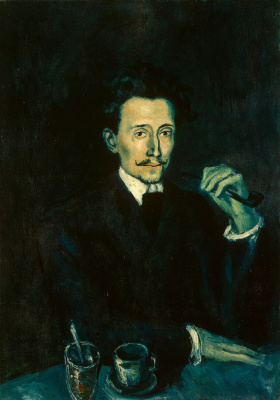 His new heroine is not like any torn and withered sufferers "blue" period nor translucent, air comedians "pink" nor stone pile geometric shapes, no fluid surreal form. If we use the analogy with the elements, the "large woman" is the Earth in its purest form. Despite the feeling of complete freedom and emancipation, the heroine of this picture don't look like hovering above the ground. They seem to stand on it as firmly, although it is actually barely touching her. Bright blue shades of sea and sky, the flowing hair of women, their tightly knit, resilient, amazing "material" of the body – all this gives the feeling of such fullness of life, which only people can experience. 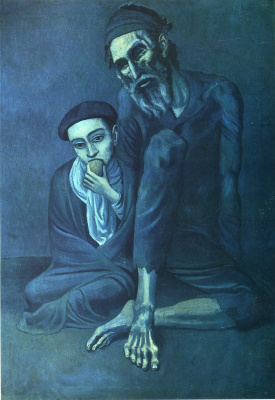 This, according to some critics, is the main message most post-war paintings, Picasso: that's the way you live, that's the way you feel-not about war horrors. 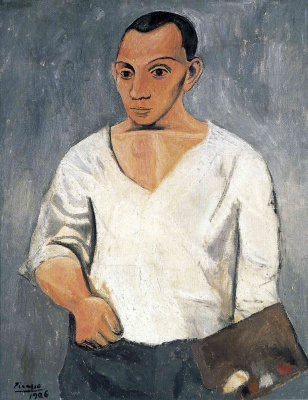 It is believed that a major influence on the works of Picasso in this period had the events in his personal life. 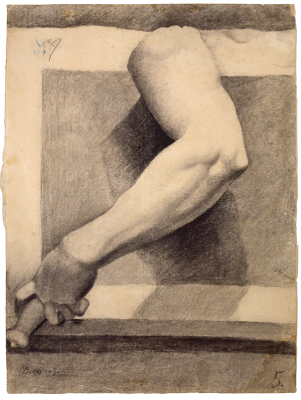 "Large women" began to appear in his paintings in a time when the artist's wife Olga Khokhlova was pregnant with his first child. 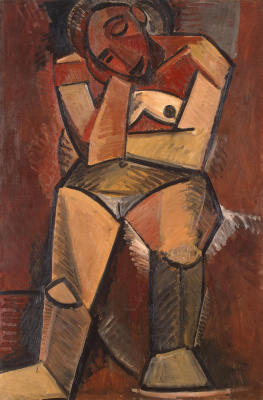 Researchers believe that the impressive female body was a kind of celebration of motherhood and fertility. 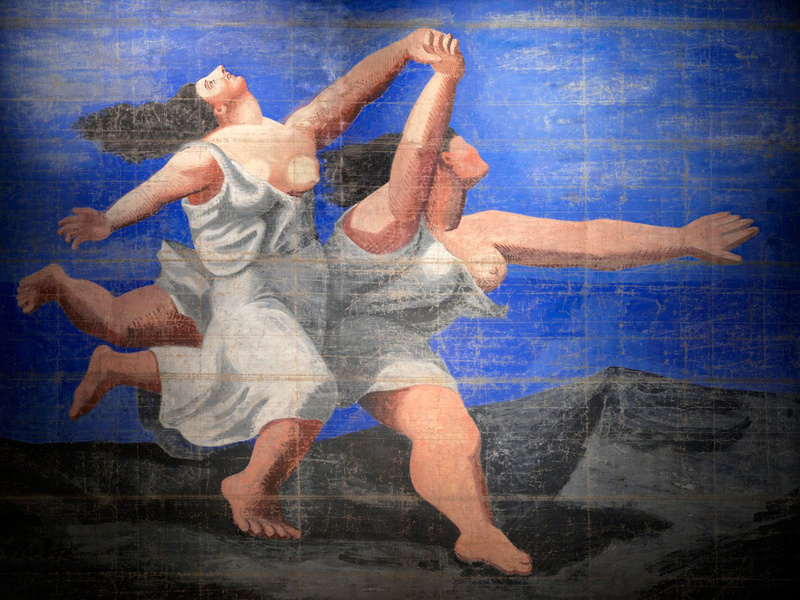 In 1924 the painting "Two women running on the beach", increased nearly 30 times, was used in the design of performances of Russian ballet of Diaghilev "Blue train". 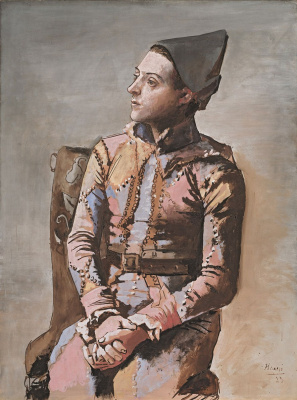 A copy of the executed Russian theater artist Aleksandr Shervashidze, and she was so impressed by Picasso for its accuracy that he signed it with his name.